About Us » Why SHCS? Why Sacred Heart Catholic School? Faith is the cornerstone of life. It is who we are and whose we are. It is the foundation of all. We want all our children to have a place in Heaven. We want our children to know and understand that during good times and difficult times, we belong to our Heavenly Father and He takes care of us. We do not want their relationship with Jesus Christ to be just a casual one. We want them to know Him. Our teachers know their students. We know who is who and who is where. We are a family who prays, learns and plays together. In this increasingly violence stricken society, we offer a safe environment for learning. Our school is monitored by cameras, and we have a very secure campus. Children do not learn when they are scared nor when they are bullied. We have a zero tolerance policy on bullying. We teach the child and not the book, and definitely not to "End of Grade" standardized testing. Our teachers hold high standards for learning, accountability, and reaching full potential. We know our students. Our students graduate with an appreciation for always striving to do their best in all things. We have a long 137 year history of graduating students who are very prepared for the academic and social challenges of high school and beyond. Our learning in the classroom includes integrity and virtues. Students are taught to have a moral compass to make good decisions and wise choices. This is woven through our faith lessons, teaching students that we are to be good disciples and good neighbors to everyone. We asked many of our students, parents, and alumni these questions: Why SHCS? Why do Catholic Schools Matter? They responded with great conviction. We pride ourselves in a long tradition of great academics, competitive athletics, character building, and community service, but FAITH formation is what makes SHCS special. Our students learn the peace, love, kindness and strength that only comes from FAITH in our spiritual Father, his son Jesus Christ and the Holy Spirit. I have been walking the halls of Sacred Heart Catholic School since I was just a little kindergartener. Nine years later, I’m still here as an 8th grader, and I wouldn’t want to be anywhere else. The teachers, students, and staff make up one of the strongest families I have ever seen, and that is something I am proud to be a part of. Sacred Heart has not only prepared me for what I need to know in math, science, English and history, but it has also taught me the strong roots of my faith. I know wherever I wind up next year, I will still be rooted in my faith and God. All five of our children attended Sacred Heart Catholic School. Their education here has played a large part in the people they have become. One of our daughters is a teacher today because of the wonderful role models she experienced at Sacred Heart. It is fun to see how my children integrate prayer into their daily lives – a practice that was reinforced at Sacred Heart. I experience a peacefulness as I walk through the halls knowing that all of the students are being exposed to what is the basis for a happy good life. We are so fortunate to have three of our grandchildren currently attending Sacred Heart. They continue to teach us through what they are learning and experience. It is refreshing to be able to attend their many functions and interact with such dedicated parents and educators. I am a parent of 5 children, both boys and girls. I have had experience of both American and Scottish education systems, both public and private, Catholic and non-denominational. I also homeschooled for 10 years. All of the above provided my children with the needs they had when they had them. As someone who wants the best Spiritual, Academic and hands on education for my children, I can honestly say that Sacred Heart Catholic School in Salisbury meets that requirement. It has a safe, warm and welcoming atmosphere as soon as you enter the front door. Both school and church come together as a community that loves and cares for my children from the moment they enter the building. It calls my children to a higher standard of achievement both in their spiritual, academic and physical endeavors. Each of my children who have graduated from Sacred Heart just love to come ‘home’ to encourage and support the children who are still coming through. They have such fond memories of how much love and support they received, and I know that they are amazing, kind, loving and secure individuals because of the education they have received. Sacred Heart has been like an extension of all that I could want for my children. Knowing that the community of staff and teachers love and care for them as I do, allows me peace of mind to place them in their care. My sons’ academic performance has improved much since beginning SHCS this school year. As parents, SHCS has helped us become more involved in our children’s academics, sports and school events. The school activities are very beautiful, for example the Nativity program during Advent. I am very thankful for the scholarship opportunities given at Sacred Heart School. The financial assistance is very helpful for us to help give our children the best faith-based education. Lastly... seeing them pray and learning more every day about their faith is very rewarding. All 3 of my boys graduated from Sacred Heart Catholic School, with all three completing K-8th grades. 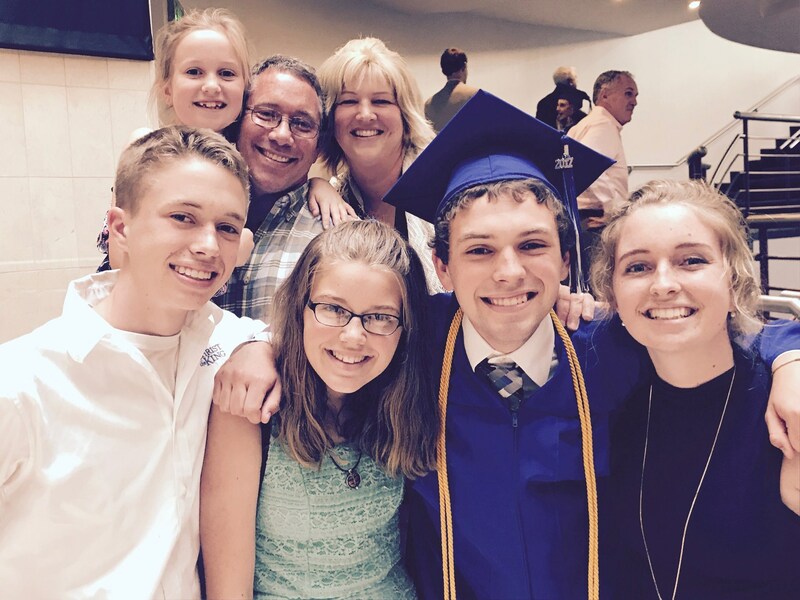 SHCS established a strong foundation of learning, interpersonal skills, time management, athletics, and faith that prepared them to navigate through high school and now as they continue on life’s unpredictable journey through college and beyond. While at SHCS, they built friendships that will last a lifetime and a faith that will transcend it. SHCS was instrumental in the development of my 3 three sons as Division 1 Athletes, but it was also critical to their development as responsible young men. Every parent should have the opportunity to provide this strong foundation for their children, and that is why I continue to financially support SHCS. Our family has been a part of the Sacred Heart family going on 7 years. Sacred Heart provides an excellent foundation for the whole child including body, mind, and eternal soul. The administration as well as the teachers, both seasoned and new, are highly qualified and excited about education. Students are academically challenged and taught to be mindful citizens and volunteers. We are so grateful for this school and it's positive, safe, and nurturing environment! My husband, Michael, is an alumni of SHCS and credits this school to the majority of his life's core values in faith, family, education, and personal development. I love to volunteer and be with the students at school - it is such a blessing to see the children grow as students and individuals. Sacred Heart Catholic School has been a huge part of our lives for 15 years now. All 5 of our children at began in Kindergarten, with our youngest 2 still attending. From Kindergarten to 8th grade graduation, this school has blessed our lives in many ways. Sacred Heart prepared all of our children to do well in high school and beyond. Our oldest two children went on to excel academically in high school and graduated with honors, as well as performing at the honor lever in college, making their respective Dean and President's List. Our middle child who is currently in high school, is frequently reminded by his teachers that the Sacred Heart alumni are well prepared morally and spiritually, as well as being given a firm academic base. But more than this, the love and kindness shown by the teachers, priests, and staff at Sacred Heart School make the school feel like a second home. We have been blessed to volunteer as coaches in different areas. It has been a gift to see the different talents and cultures at Sacred Heart, all coming together as one family. We love Sacred Heart Catholic School! Sending our children to SHCS is one of the wisest investments we have ever made. We live in a time where change is constant and not always necessarily good. Our world is fast paced and the importance of personal relationships are becoming less and less important. I teach at Sacred Heart because we value relationships. Sacred Heart is an authentic close-knit community where we know each other personally and we support one another. I work with a group of peers that thrive on implementing lessons that will empower students both spiritually and educationally. In turn, the students and staff empower me to grow in my own faith and to realize my best potential as a professional. At Sacred Heart, we celebrate the big things and the small things. We celebrate our School Spirit (Go Dolphins), we celebrate saints and presidents, and we celebrate Christmas by remembering Christ is the center of this magnificent holiday. We know at Sacred Heart that it is in giving, not in receiving, that true joy is found. Teaching at Sacred Heart is a privilege and I am grateful for the opportunity it has provided me.